Yosemite National Park campgrounds fill up quickly each summer but there’s a little known secret that can help travelers who are caught by surprise with seemingly no place to stay. 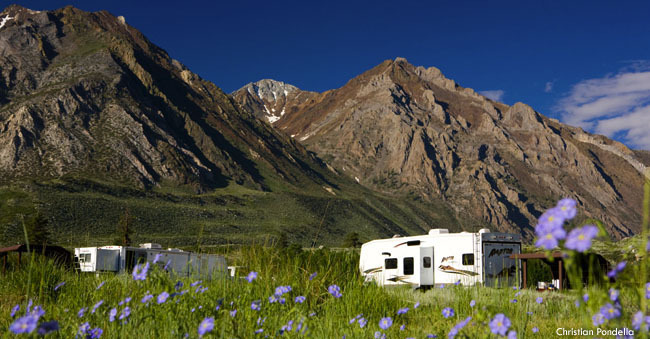 On the east side of the Sierra range, connected to Yosemite via Tioga Pass/Highway 120 and US Highway 395, is an abundance of campground and RV-friendly facilities available. 86 campgrounds in Mono County are open for the summer and autumn season, and most still have plenty of space available. With US Highway 395 serving as the easy-to-navigate thoroughfare connecting the towns of Lee Vining (just 12 miles from Yosemite’s east entrance), Bridgeport, Walker, Coleville, Topaz, June Lake, and Mammoth Lakes, campgrounds in Mono County can save the summer trip by coming to the rescue. 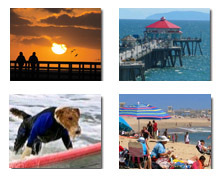 Thanks to Mono County Tourism (monocounty.org) for alerting us to this information!